Canadian Black/Death Metallers DIRE OMEN have premiered another new song from upcoming Dark Descent Records release Wresting the Revelation of Futility, courtesy of NoCleanSinging.com. Listen to the exclusive stream of "Foretold Untethering from Existence" at http://www.nocleansinging.com/2014/11/05/an-ncs-premiere-dire-omen-foretold-untethering-from-existence/. Wresting the Revelation of Futility will be released November 13 on Dark Descent Records. Pre-order it at this location. Characterized by a progression towards the chaotic, opaque darkness that now permeates their sound, the history of the Canadian Black/Death Metallers has led to the establishment of an undeniable identity, most evident on this debut album. Utilizing abyssal, morose imagery combined with a strong sense of Thelemic ritualism, DIRE OMEN has developed a unique take on the Black/Death genre. 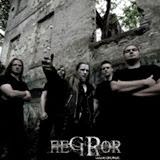 INFERION have released three raw 'n rippin' live videos that collectively capture the band's recent performance at Black Kvlt Fest, which was held October 17-18, 2014 at Churchill's Pub in Miami, Florida. INFERION performed on October 18 and Parts 1-3 of their set can be viewed below. Guitarist/vocalist Oscar Valdes, who is seen performing live with INFERION at Black Kvlt Fest has joined the band as an official member. Valdes also plays in Brutal Death Metal act SAPRAEMIA who will be performing at Archie's West in Miami on November 22. Gig details can be found here. 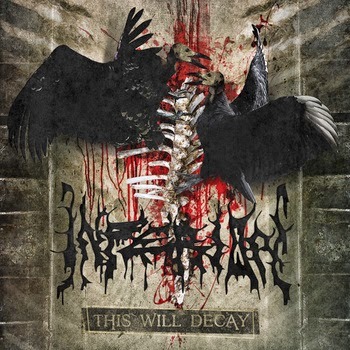 This Will Decay, the new album from Miami-based black/death metal horde INFERION, was released October 21 on Horror Pain Gore Death Productions in digital and CD format. To purchase and/or listen to the album that MetalMouth.net called "insidiously evil," visit this location. Formed in 1995, INFERION have refined their intense sound and present their finest work to date. This epic 14-track, 55-minute majestic masterpiece is a vicious onslaught of Blackened Death Metal that crushes bone and penetrates flesh with the precision of a newly sharpened blade. Superior production quality tears through the many deep layers of this album to reveal complex lead guitar work, a wide array of vocal approaches and the relentless hyper blast of Carlos Delgado. This Will Decay solidifies INFERION's rightful place as one of 2014's purveyors of the most vile underground music available. For fans of ANATA, ANGELCORPSE, BEHEMOTH, BELPHEGOR, BURZUM, DARK FUNERAL, DARKTHRONE, DEATHSPELL OMEGA, DEICIDE, DISSECTION, DODHEIMSGARD, ENSLAVED, GOATWHORE, IMMORTAL, NACHTMYSTIUM, NOCTUARY, SATANIC WARMASTER, SILENCER and VITAL REMAINS. 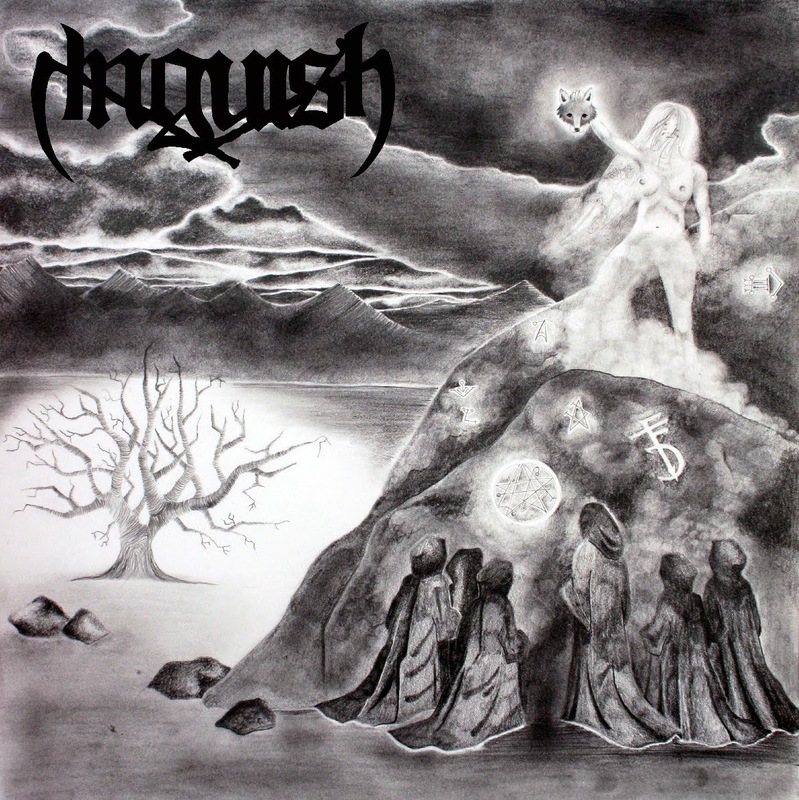 Swedish Doom Heavies ANGUISH have premiered a new track from upcoming Dark Descent Records album Mountain. Feast your ears on "Snowhammer" at http://lastrit.es/articles/885/anguish---snowhammer. Aptly titled Mountain, the highly anticipated sophomore release from Sweden's ANGUISH will be unleashed November 12 on Dark Descent Records. The follow-up to 2012's mammoth debut Through the Archdemon's Head sees the band expanding upon their oppressive brand of Doom Metal. Compared to its predecessor, Mountain is stripped down, clocking in at 48 minutes across eight tracks of suffocating dread, yet the compositions are the band's most varied to date. If this is going to be the band's first release, then I can't wait to hear more! This album starts off heavy with the intro to "Remain." I love albums that start you off wanting to headbang. Then once the first verse comes in it slows up the pace of the song but then picks up when the chorus comes in. 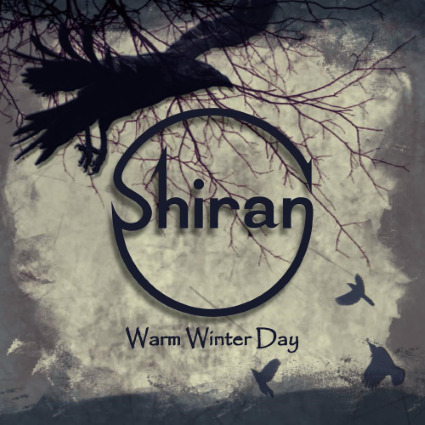 The self-titled track "Warm Winter Day" is a really good mix of hard riffs mixed with melodic vocals. Really that is want this band is good at; having the melodic voice over the hard and heavy riffs. The intro to "Glint of Light" has to be my favorite of the album. They way that is has the soft intro then her vocals kick in; after that the pace picks up. Overall this is a well put together album. Everything sounds clean and well mixed. The instruments don't over power the vocals and the vocals don't take too much from the instruments. This being there first album release I have a feeling they are going to be around for a good while. This album has a good mixture of genres. At some point I think I am listen to Djent but then all of a sudden I think I am listen to Power Metal. They just have a will mix of material in the album. And because of that it was really hard for me to pick my favorite song out of this EP. Every song is Unique and it will keep the listener wanting to more. This EP will be something that I will be adding to my collection. So I am going into this album like I do with mostly all my Random Album Reviews and that is not ever listening to the band before. I have heard good things about this band but I never really got a chance to listen to them; I am glad I did. This band has a little Pantera feel to it, I mean I read somewhere that the song Clenched Fist is a tribute to "Dimebag." But it is not a band that feels like a clone of Pantera. They make it there own. I enjoyed listening to this album. It has some good riffs and solos. I love the vocals in this album. Just everything goes so well together. U.S. Doomsters APOSTLE OF SOLITUDE are proud to announce the exclusive album stream of Of Woe and Wounds in celebration of today's release on Cruz Del Sur Music in North America. Check out Zero Tolerance's exclusive stream at this location. APOSTLE OF SOLITUDE's Of Woe and Wounds will rank among the heaviest album of 2014. From the 7-minute opener "Blackest of Times" to the ending "Luna," APOSTLE OF SOLITUDE deliver an incredible performance that gives full sense to the sometimes-abused term "DOOM". 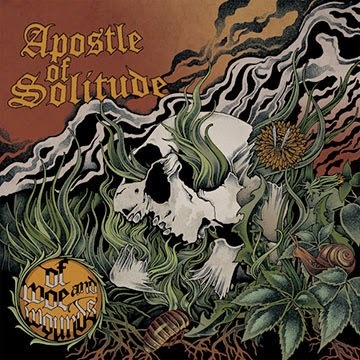 Mastered by Tony Reed (producer of last SAINT VITUS' album "Lillie: F-65"), this album confirms APOSTLE OF SOLITUDE as a versatile, multi-dimensional doom band that offers the most Sabbath-inspired sound around these days, blended with personal, oppressive yet dynamic atmospheres such as those found in "Push Mortal Coil" or "Whore's Wings" (re-recorded hits from their 2012's demo), or the long and haunting "Die Vicar Die". 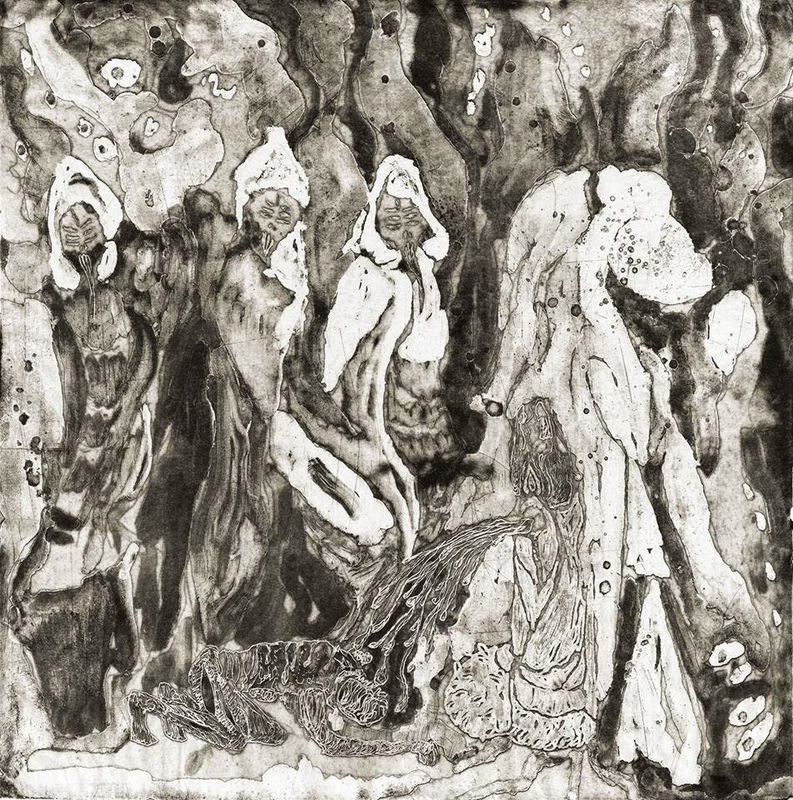 The album also features the extraordinary work of talented Artist David Csicsely known for his illustrations of Mournful Congregation, Solitude Aeternus, Wheel, Flight of Sleipnir releases.The album was recorded by Mike Bridavsky at Russian) in Bloomington, IN and later mastered by Tony Reed (SAINT VITUS' "Lillie: F-65). DOOM has never been so HEAVY! The vinyl version will contain two bonus live tracks. Revealed In Profane Splendour, the explosive full-length from UK-based blackened death horde SIDIOUS, is out today on Kaotoxin Records. Stream the album in its entirety at this location. The CD and Digital versions can be purchased at the Kaotoxin Shop. The album, which follows their 2013 debut EP Ascension to the Throne Ov Self, was recorded, mixed and mastered at Parlour Studios by Russ Russell (Napalm Death, Dimmu Borgir) and is set for release on November 3 via Kaotoxin Records. Artwork comes courtesy of Giannis Nakos of Remedy Arts. "A fitting title for an album of symphonic, blackened death metal majesty." 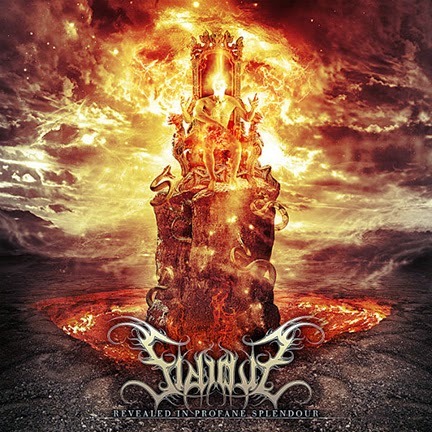 "This opus sounds so gargantuan, showcasing the band's talents for mesmerising, aggressive and occasionally symphonic black metal, all delivered with enough guile to please fans with an ear for the varying sub-textures of the black metal genre." Kaotoxin Records has released Suffering, the new EP from legendary French Goregrinders PUTRID OFFAL. Stream and/or purchase the EP exclusively at this location http://listen.kaotoxin.com/album/suffering. The EP will be available for worldwide digital purchase on February 10, 2015 at i-Tunes and other digital retailers. Kaotoxin Records will also release new PUTRID OFFAL full-length Mature Necropsy and compilation Premature Necropsy digitally on February 10, 2015. A specialist 2-CD version of Mature Necropsy, which will also include Premature Necropsy, will be released on the same day. You got a taste of Suffering from Kaotoxin label sampler Weapons of Self-Destruction and now the body bag is wide open! 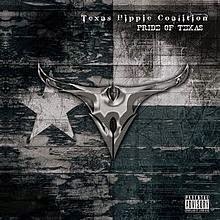 Limited to 1,000 copies, the double-CD first press will feature the Mature Necropsy album, along with two bonus cover versions and Premature Necropsy, a compilation of all of the band's 90s material remastered, while digital versions will be made available separately (without the bonus cover versions). 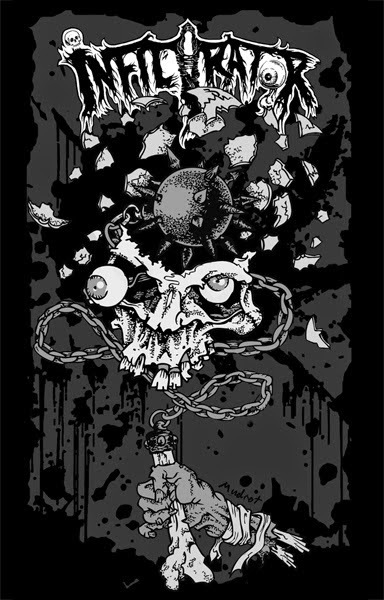 Mature Necropsy features a total of 15 tracks for more than 34 minutes of gory art (including the two bonus cover versions) and is made of all of the band's material (de)composed throughout the 90s, completely re-recorded in 2014 with special guest vocals by Stéphane Buriez (Loudblast) and Frédéric Blauwblomme (Noise Emission Control, ex-Krhomadeath, ex-Corruption). Mastered by El Mobo at the Conkrete Studio (We All Die (laughing), Otargos...), the release marks the 25-year anniversary of the band and is a completely rewritten and up-to-date piece of merciless Goregrind that even those just now discovering PUTRID OFFAL will adore! Premature Necropsy is a completely remastered collection of all of the band's original material from the 90s, including their 1991 Unformed demo, their 1991 At the Stench of the Foul Offal split with Agathocles and their part of the 1992 Obscurum per Obscurius compilation CD (that also featured the likes of Supuration, Krhomadeath and many more) for a total of 18 tracks in more than 38 minutes of early Goregrind history! * both tracks exclusive to this release, "Livor Mortis" being the very first Putrid Offal original released in 20 years. 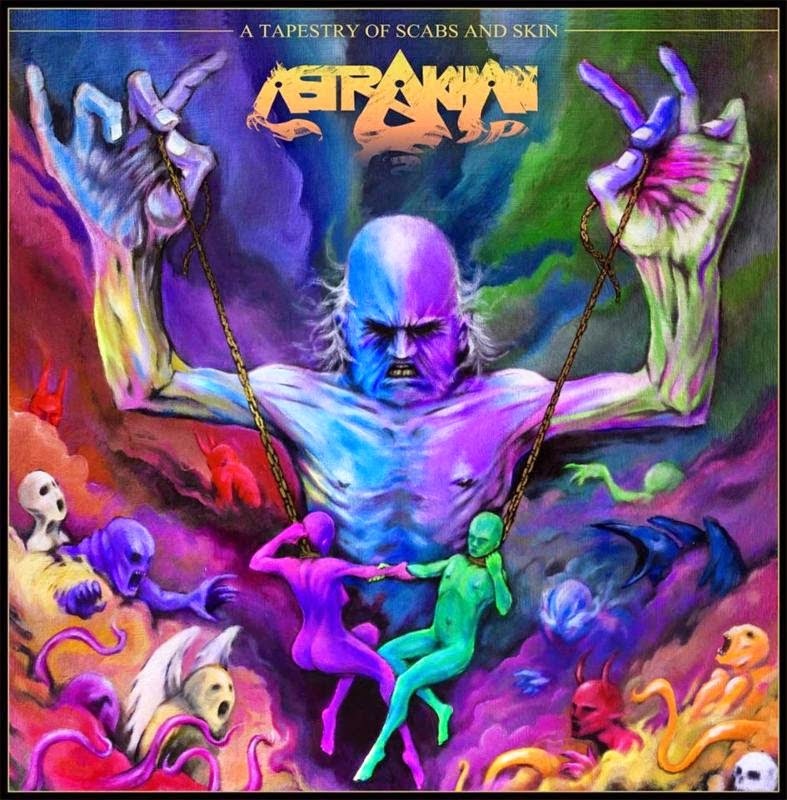 War on Music Records will release A Tapestry of Scabs and Skin from Vancouver sludge/doom dynamos ASTRAKHAN on 45-rpm vinyl 12" LP format on December 12. The album includes two songs from the band's digitally released EP The Pillarist and two brand new tracks recorded at Rain City Studios with Jesse Gander (BISON, ANCIIENTS, 3 INCHES OF BLOOD, JAPANDROIDS). The lavishly colored cover was created by Nick Patterson with inner sleeve design by Dena Lazarenko. Fast, filthy and diabolical, Philadelphia's INFILTRATOR have released their self-titled EP on cassette through Unspeakable Axe Records. It is the must-hear speed metal assault of 2014 and the complete EP can be streamed at this location. The band released their debut EP last year as a download only. Now Unspeakable Axe Records has put it on cassette: black with gold metallic print, and limited to 200 copies. INFILTRATOR shares a member with both death metallers TRENCHROT and trad-doom group CRYPT SERMON. With an identity all its own, the group bangs out classic speed metal riffing and one fire-bombing solo after another, while the tortured howl of front man Steve Jansson sounds like the first bloodthirsty mutant to crawl out of the crater once the apocalypse is in full bloom. Visit Unspeakable Axe Records on Facebook. SLUDGEHAMMER Streaming New Album "Antechamber"